I lost my libel virginity today. The first of a number of court cases I’m involved in as a result of this blog has been decided. Jean Claude Micallef sued me. He thought that by calling him a hypocrite I damaged his reputation. As the old maxim goes: it’s not slander if it’s true. The big issue was about this piece I wrote a bit more than a year ago. It was the 8th of November and Daphne Caruana Galizia’s remains had not been buried yet. 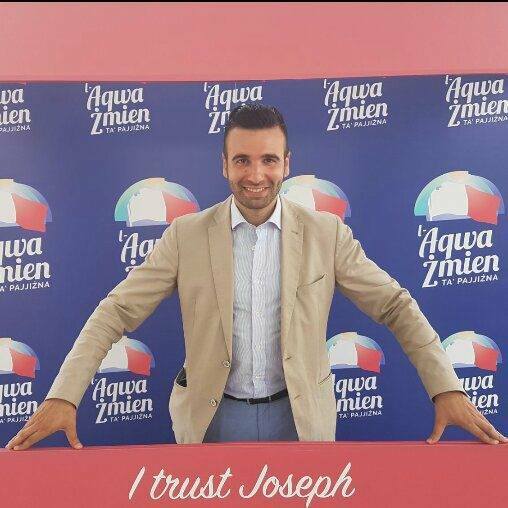 Jean Claude Micallef, day-time TV host and veteran election candidate for both political parties, posted “Jekk tgħix ħajtek tkasbar, tmut imkasbar. Ir-rispett tirbħu tul ħajtek mhux wara mewtek”. It was one of the opening salvos of the year-long campaign, still ongoing, of B-class Labour politicians effectively denouncing Daphne Caruana Galizia for living a life which deserved to be terminated by car bomb. I could have called him cruel, tribal and vile. But I called him a hypocrite because before he realised where Labour’s wind was blowing his first public reaction to Daphne’s killing had been of sadness and abhorrence of political violence. Minutes after the news of Daphne Caruana Galizia’s assassination spread, Jean Claude Micallef posted the appropriate words on his Facebook page, condemning what had happened. Less than two weeks later he was implicitly blaming her for her own death. As I wrote a year ago to Jean Claude Micallef’s chagrin, hypocrisy very quickly became transparent. In his decision today Magistrate Franco Depasquale recalled a recent decision of his in another case where he criticised Facebook users of irresponsible behaviour. Of course, Jean Claude Micallef had every right to dispute my interpretation of his words. He could have sent me a response explaining the intent of his “tmut imkasbar” post. I am grown up enough to publish responses to my posts even if I disagree with them, even if I do not believe what they say. But Jean Claude Micallef sought recourse in the libel court instead. I cannot say if this was the action of a lone wolf or he’s part of a bigger scheme to exhaust me in court. I’ve spent the past year having to justify a comment I made which is so self-evident that Jean-Claude Micallef complaining about it is almost comical. He doesn’t mind the embarrassment, I should think. Whether knowingly or unwittingly, he’s helped the effort to slow journalists and critics down, distract them with court cases, exhaust them with the mounting cost and bureaucracy of the obvious and the harmless. I could feel smug I won my first libel case. But all I can think of is I have to go to court again on another libel case in the next few days.